We can only apologise for scores not coming though. This maybe as a result of Load Shedding. 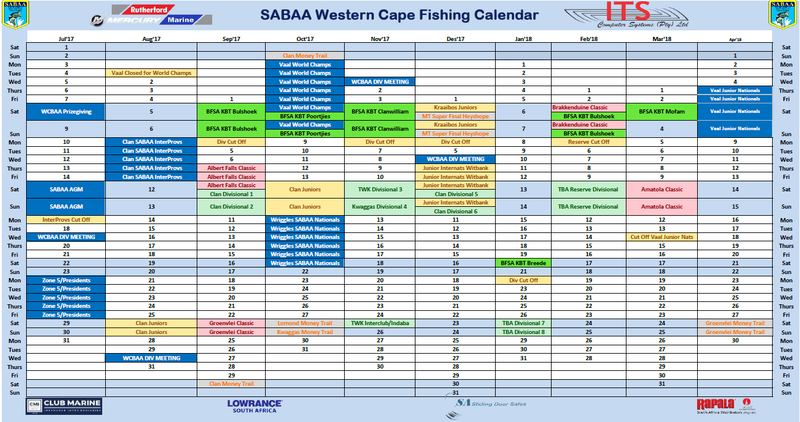 2018 Kicking off with Western Cape fishing their final two competitions this weekend at Clanwilliamdam. At the end of this weekend we will know the final standings. Let us all hope that we will see the turn of the drought this winter in the Western Cape. 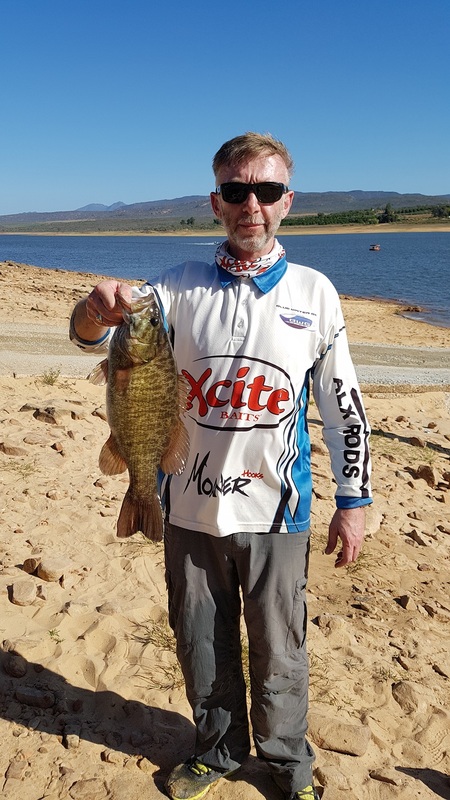 It was brought to my attention as the Western Cape Conservation officer that there has been a number of reports of scabs / marks on the bass at Clanwilliam. These marks are majority in the same place across multiple fish. Once I received this news late on Friday I asked Roy De Wet and the Kickboaters, that had planned to fish Clannwilliam this past weekend, to send me more evidence of this problem. I had reports early Saturday morning and through out the weekend. The reports showed between 90 – 95% of the fish caught had these markings and only the odd fish without. 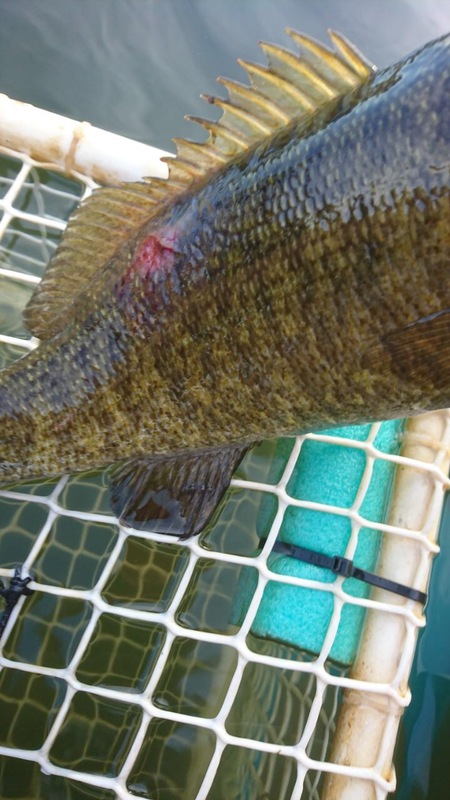 Report of Smallmouth, Largemouth and spotted bass. After contacting Dr Olaf Weyls on Friday / Saturday and Sunday he has confirmed these marks to be EUS. If you not sure what EUS is please read the attached article. The short version is there is no cure and not much we can do. The only thing we can do as anglers is limit the transport of this disease. See attached document written by Dr Weyl, yes I know the bleach in the live wells is hectic but a good precaution. Please if you plan on going to Clanwilliam and perhaps Bullshoek, be very very careful and clean all your equipment before going from clanwilliam to any other venue. Please report any other catches with EUS if you could record weights, size, location and water temp this would be great. Any other conservation topics / questions please send them directly to me. Please do not act in a manner you believe to be correct – let work with the Doctors, scientists and Cape Nature. I have build up a good relationship with them all and do not want this destroyed by “rogue” behaviour. Cape Nature are very much in favour of Bass and bass fishing and we would like to continue this with stocking programmes and habit projects. Lastly thanks to Richard Watson and Malcolm Palmer for your information as well as all the KBT competitors. Its great to see all the facets working together. If anyone is planning on going to Clanwilliam this week or weekend and could assist with further fin clipping for Dr Christison please let me know. He will be driving past there on Tuesday and Friday. P.S Don’t panic all the fish will not die, we have seen this before at Kwaggaskloof and the fish survived. We just need to limit the spread. Sometimes our livewells and boats can contain unwanted hitchhikers. In the U.S.A. Bass angler help limit the spread of Largemouth Bass Virus by draining their livewells before leaving the launching area. In Southern Africa a new threat to our fisheries has appeared in the Zambezi and Okavango systems. A disease called Epizootic Ulcerative Syndrome or EUS has been ravaging fish populations in those areas. The disease is caused by a fungus that is native to Asia. It is not clear how it was introduced into the Zambezi and Okavango Rivers but the fungus can lead to serious secondary infections such as those that I photographed on tigerfish and nembwe during a recent fishing trip to the area. 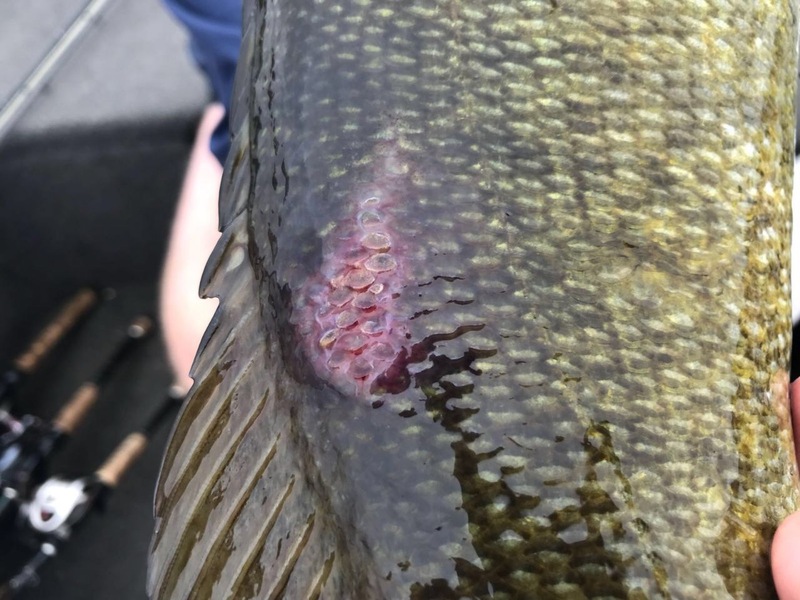 Anglers can help prevent the spread of this and other fish diseases by following a few simple guidelines. Empty your live-well and bilges before leaving the launchsite. Clean boats, trailers, fishing gear and drain live wells and bait buckets between fishing trips. If you have been outside South Africa, consider taking the extra precaution of soaking your live-well and bilge area with a solution of one 1 tablespoon of bleach (Jik or Jayes Fluid) to 5 liters of water for 10 minutes. Then rinse thoroughly to get rid of any remaining bleach (watch your carpets!). Do not move any fish, live bait or fish parts from one water body to another. Help educate other anglers in the dangers of disease transmission. After finishing with a descent bag of 4.99kg for 5 fish on the first regional event for the previous day I was hoping that my soft stick bait pattern would repeat itself on Sunday. Fortunately, I had a better draw on day 2 and decided to hit the more productive area of day one first and managed to get there with only 3 other boats in the general area. I had an area of rocky bank to work and are battling for an hour or two discovered it was time to switch tactics. Out with the bait casting rods and in with the ALX Maestro 7ft spinning rod and Lews reel on 8lb fluoro while changing the stick bait to a grub. After no fish, I decided to give myself at cut-off time of 09:00 to leave the area. I literally said: “Last cast”, and bang fish on. Within 15 minutes I had a second one from the same area. I carefully worked the bank up and down until about 14:00 when I caught my 5th fish, a beauty of 2.085kg and after thanking Jesus for the wonderful opportunity of catching my PB in a regional event that was it for me. For my last and PB fish I had changed over to an ALX Speed Fury bait casting rod and my trusty Quantum PT Tour reel spooled with 10lb Viscious Fluoro. Same grub as before. I was glad I had slightly heavier line for the big fight! After fishing 14th for Day 1 (4th in Category C) and 11th for Day 2 I found out I had won Category C after getting a bag of 5.93kg with my PB fish being the difference between my two days. I would like to thank my Heavenly Father for His protection and the opportunity to compete, my family, Blue Water Gear, Wolf Lures Flies & Feathers, Hooked on Bass and Ol’ Big Mouth & Outdoors who have all contributed hugely to my fishing as well as my late dad Fielie Jacobs and my brother Willie Jacobs who loves bass fishing just as much as I do.